A new book challenge you can join any day any time. So in short: any moment! So here is The Book Week of Three Challenge. Can you complete one week full of three books? 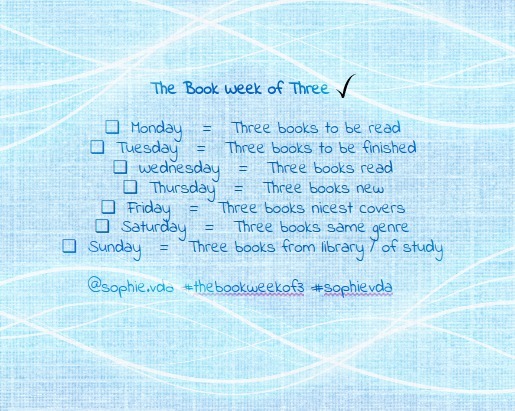 Do you join The Book Week of Three Challenge too? If so…please let me know and I post your Instagram / Blog link on my The Book Week of Three Challenge page as participant. Have fun with the books!